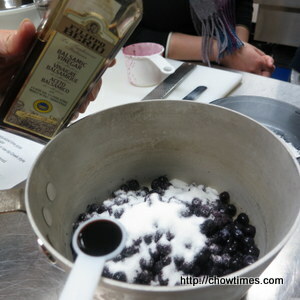 Combine the blueberries, sugar and balsamic vinegar in a medium sauce pan. 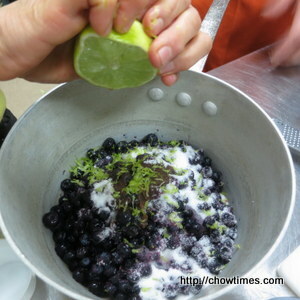 Zest the lime directly into the mixture. 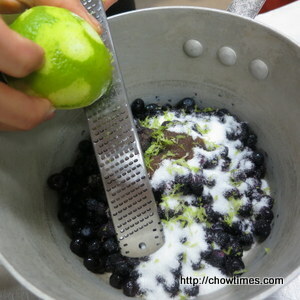 Cut the lime into half and squeeze the lime juice into the mixture. Bring to a boil over medium heat. 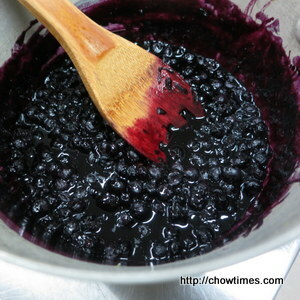 Cook for five to 10 minutes, until the liquid is reduced and the blueberries have cooked down to a jam-like consistency. You should have about 1 cup of thick, jammy sauce. 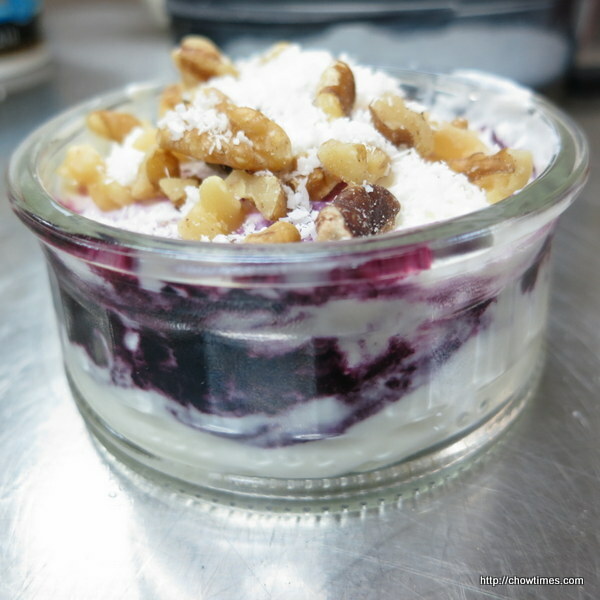 Spoon 1/4 cup thick yogurt into the bottom of each of 4 tumblers or parfait glasses. 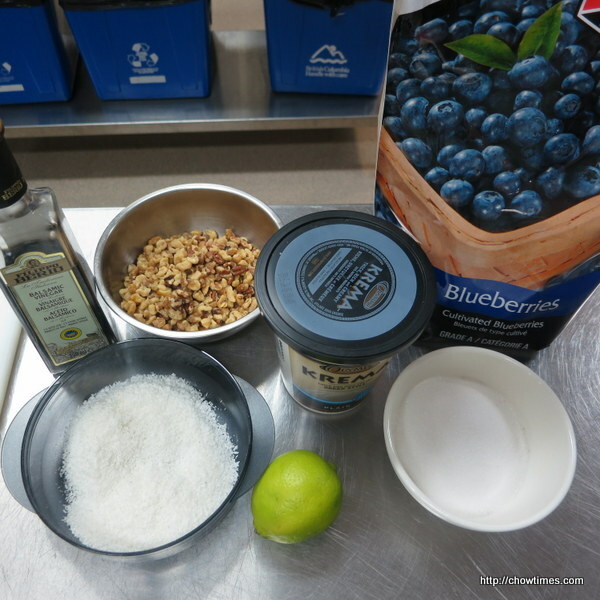 Top with 2 tablespoons of the blueberry sauce. 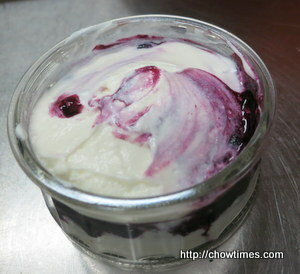 Top with another layer of yogurt and follow with blueberry sauce. 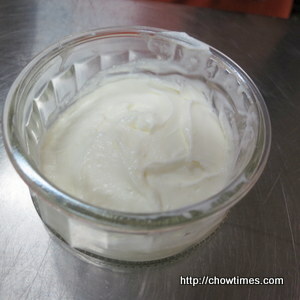 Cover tightly and chill for at least 1 hour. 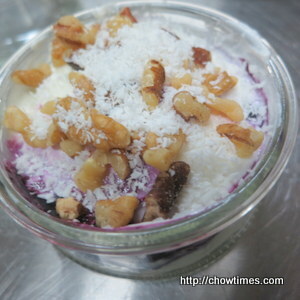 Just before serving, sprinkle finely chopped nuts and/or shredded coconut over the top.